Many people, before opening accounts ask – ”Is Mr. Green a scam? It is too good to be true”. It is true that the website is made very similar to other casinos like EuroGrand. Positive signs that Mr. Green works really serious are the Malta gaming license, the eCOGRA seal and the random number generator with a certificate. The experience of many customers has been very positive. In our test, we have taken the individual criteria of the online casino under a microscope and searched for a possible fraud. Mr. Green’s games offer is depending mostly on several well-known software providers such as Net Entertainment or Microgaming. There was nothing wrong with the quality of the games while the test have been conducted. Apart from classic casino games such as roulette and blackjack, there are a variety of elaborately designed slots that still offer attractive profits and also lots of fun. 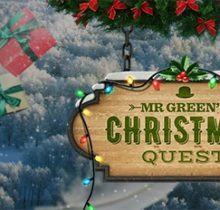 Overall, in its portfolio, Mr Green has over 200 games, which makes a visit even for experienced casino players worthwhile. Mr. Green will double the first deposit with a bonus up to £100. So, whoever deposits for, example, £100, can start right away with a total of £200. As in other casinos, at Mr Green also apply certain wagering requirements. The most important here is that Mr Green’s sales conditions are shown transparently rather than hidden in the “Terms and conditions” section of the site. You need play with the bonus 35 times in order to make a withdrawal. For this purpose, all slots can be used. Excluded are only the games Roulette, Blackjack and Video Poker and the games listed under the heading “More Games”. Overall, the bonus structure is constructed in a very serious manner and there are no visible signs of a scam. The customer support of the casino can be reached daily from 07:00 clock to 01:00 clock via live chat and telephone. 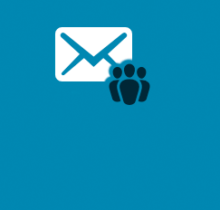 The quality of support is impressive, all questions will be answered friendly and competent. There is also nothing wrong with the processing times of emails at Mr. Green. Of course, customer service is available in several languages. 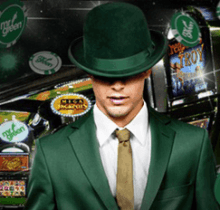 Compared to some other online casinos like EuroGrand or William Hill offers, Mr. Green has a somewhat limited range of deposit and withdrawal options. In addition to credit cards or bank transfers, Moneybookers, Neteller and Paysafecard are also available for making deposits. One of the little things you can complain about is the fact that for the deposit by credit card you will be charged a fee of 2.5 percent of the deposit amount. Depending on the chosen deposit this is possible from a sum of one Euro. 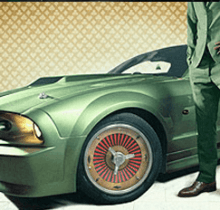 We can recommend Mr Green online casino because of the speed they make payments. In our test these were mostly processed no later than 2 business days. Even a payment by bank transfer often lasted only about 3 days. Generally, there are also no fees that apply for payments. A payment of over 30 Euros can be requested at any time. In our test, we examined the software under a microscope. The games all run very well and have professional graphics. Players generally do not need to download any software on Mr. Green. All games can be easily played via any web browser. For playing on the road Mr Green offers a very good mobile version of the online casino. Of course, players can access from both their account. 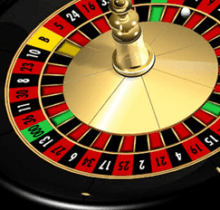 Security is a very important criterion for whether an online casino is reputable. Mr Green received in the past few years a number of awards, which are a sure sign that there is no fraud. Hardly any other online casino offers such a high level of transparency. All personal data is transferred with a secure SSL encryption while all games and slots have a certified random number generator and an eCOGRA seal. These are all signs that Mr Green is a safe place for both your money and personal data. In the slot games section, the minimum bet is between 1p and 2p. For the rest of the casino games the bet is between 25p and £1. 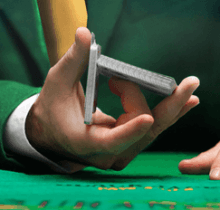 This makes Mr. Green a very good option for both beginners and experienced players. 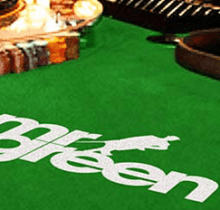 Even high rollers who like to make big bets are welcomed at Mr Green. Especially in classic games, huge bets are completely possible. During the conduction of our test, the payout rate was average 96 percent, which is quite positive. Experience has shown that odds at Mr. Green can vary between 92-98 percent depending on the month. This is mainly due to the constant expansion with new games. Even if the payout percentages occasionally have a runaway down, they are still good and on a quite acceptable level. One of the best features at Mr. Green is that all games are available without the need to download any software which provides additional security. Moreover, not only new customers can benefit from an attractive bonus. For regular clients there are always actions with free games or other ways to win. Also the many, progressive jackpots win possibilities of several million Euros are not to be underrated, too.